Dr. McIver was born and raised in Lafayette, LA. In 2010, she received her Bachelor of Science Degree in Biology and Minor in Chemistry from The University of Louisiana at Lafayette. She is a proud Ragin Cajun. She then went on to receive her Doctorate of Dental Surgery from Louisiana State University in New Orleans, Louisiana in 2014. 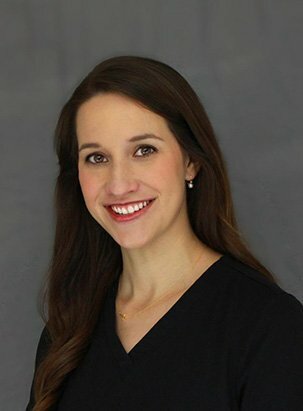 After dental school, Dr. McIver worked as an associate dentist in her hometown of Lafayette, LA. 2015 was a big year for her with an engagement, wedding and move North Carolina! Michael, Dr. McIver’s husband, is also a native of Lafayette, LA. He is a medical doctor, and is currently a resident in physical medicine and rehabilitation with ECU at Vidant Medical Center in Greenville, NC. The diversity of dentistry as art and science, and the opportunity to care for others are Dr. McIver’s favorite parts of her job. She enjoys being part of the considerate staff at Carlyle Dental. It is important to Dr. McIver to develop trust and understanding with her patients. She makes every effort to stay up to date on the latest techniques and technology in the dental profession. Dr. McIver is licensed in North Carolina, a member of the American Dental Association, North Carolina Dental Society and the Academy of General Dentistry. Outside of the office she enjoys spending time with her husband and friends, traveling and visiting family.